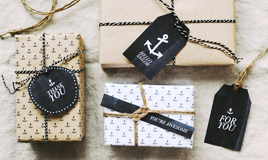 Oh, it's been such a long time since we've had a little printable freebie on the blog! 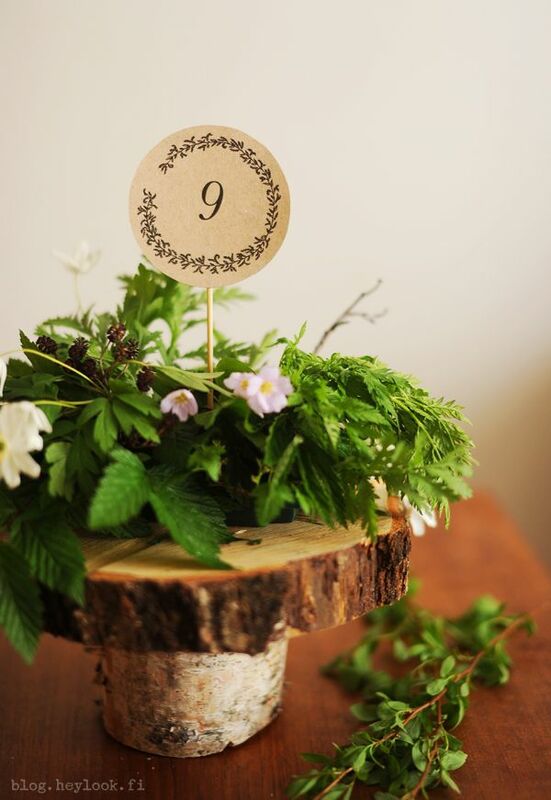 I noticed that yesterday and made this set of printable table numbers with hand-drawn foliage illustrations. Emme ole aikoihin tehneet yhtään ilmaista printabelia blogiimme, joten vihdoin oli aika! Nämä ihanat käsin piirretyt pöytänumerot voit ladata ja tulosta alta. 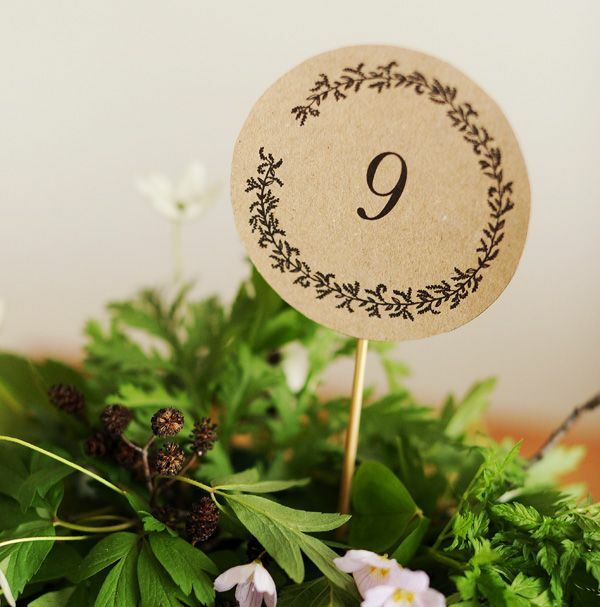 Just print them out on white or natural paper (we used recycled paper, which gives them a perfectly rustic look), cut out along the lines and attach them to a table number holder. 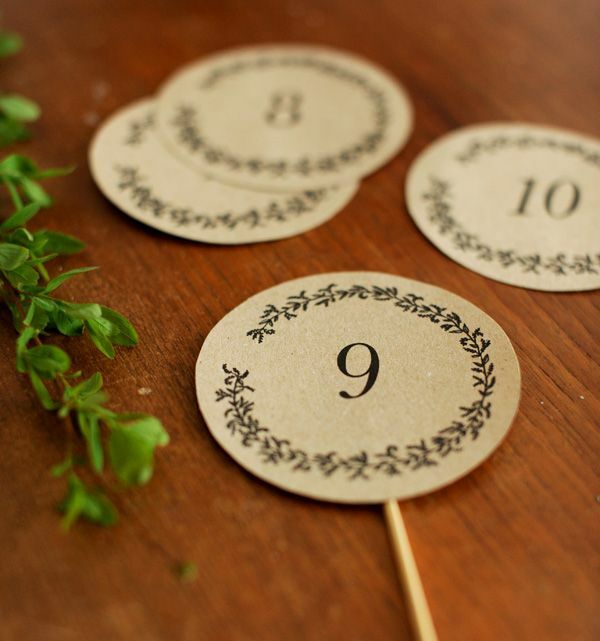 Or print out a double set and glue two of the same number onto a stick back & front. I've made numbers up to 30 for now, but if you want to use these and you have more tables than 30, just shoot us an email and I'll send you as many additional numbers as you need. Tulosta ne valkoiselle, luonnonvalkoiselle tai kierrätyspaperille. Leikkaa numerokortit ääriviivoista ja laita ne kortinpidikkeeseen. Vaihtoehtoisesti voit tulostaa tuplasetin kortteja ja laittaa tikun numeroiden väliin pitämään kortteja pystyssä. Pöytänumeroita on tehty 30 saakka, mutta jos sinulla on enemmän pöytiä, laita meille mailia ja voimme tehdä lisää numeroita. Here is the pdf for print. Download it and print. Note that these are only for personal use and please don't re-distribute the pdf. You may of course link to this blog post, if you want to share them. For more info on sharing, content and image copyright, please read our disclaimer here. Tästä löydät printattavan PDF -tiedoston. Huomioithan, että pöytänumerot ovat vain ykstyiskäyttöön, emmekä halua, että niitä jaetaan eteenpäin. Voit toki linkata pöytänumerot tähän blogi-postiin, mikäli haluat jakaa niitä! What's up i am kavin, its my first occasion to commenting anywhere, when i read this article i thought i could also make comment due to this sensible article. Thank you very much, it comes handy and pretty. Love it! The tree gets filled with leaves that can be saved and viewed at any time. Look for it # The six stages in the process of breaking bad habits. Kami sangat bangga dengan anda semoga sukses buat Anda di masa depan dan yang terbaik untuk segala hal aamiin. Do you have nightmare of assignments? Do you feel that your assignment is very hard and you need someone's help? Then take help on assignment help Melbourne from students assignment help and remove the stress of nightmares of assignment.